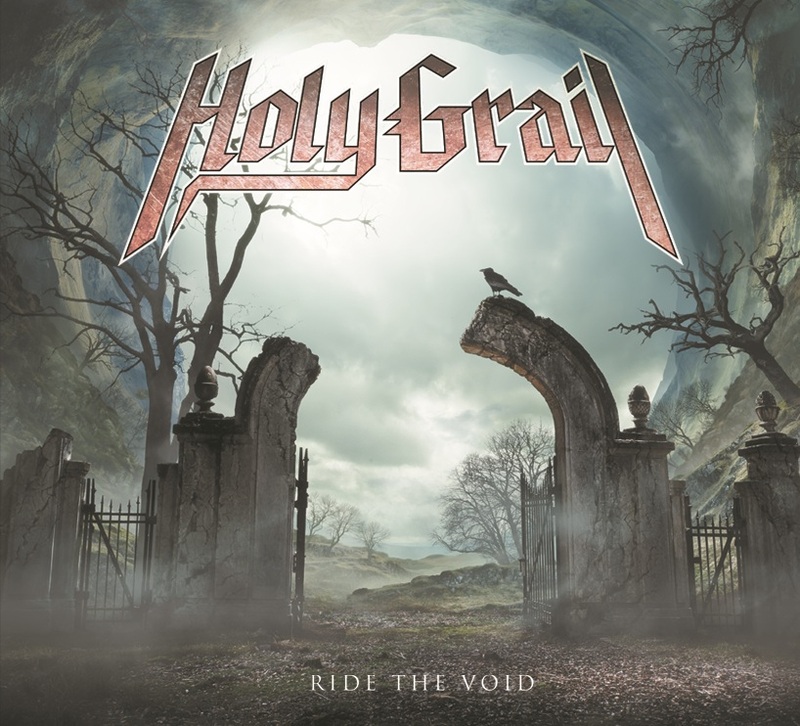 Heavy metal group HOLY GRAIL have released a guitar playthrough video with guitarists Alex Lee and Eli Santana for their new single "Dark Passenger". "Dark Passenger" is available for digital download exclusively via iTunes. A 7" vinyl version featuring the previously unreleased track "Go Down Swinging" as the b-side is also available now on black and transparent gold vinyl. "Dark Passenger" will also appear on the band's new album "Ride The Void" -- the follow-up to their highly successful 2010 debut "Crisis in Utopia" -- which will be out on January 22, 2013 in the U.S., Jan. 16, 2013 in Japan via Universal Music, and Jan. 18, 2013 in Europe via Nuclear Blast Records. For now, you can check out the album artwork (featured below) by world-renowned concept artist Dylan Cole.